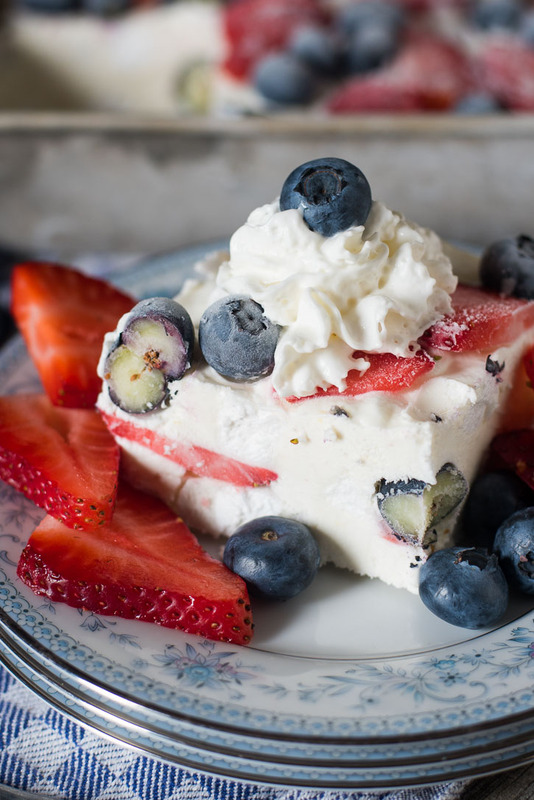 A no-bake patriotic berry frozen dessert stuffed with yogurt, strawberries, blueberries and marshmallows. You’ll love the sweet and tangy flavor! Hi there! It’s Julie from Tastes of Lizzy T, and I’m so happy to be here today sharing a fun, patriotic, frozen berry dessert. Summer weather took forever to arrive in my little corner of Ohio, but it’s finally here and I’m ready for all things strawberry, no-bake. and refreshing. Oh, and I can’t forget the sun on my shoulders as I read a good book. I adapted this simple recipe from an old Mennonite church cookbook that I found at Goodwill. Two things can make my day: A trip to Goodwill (or any other thrift store) and coming home with treasures. My grandma used to say she was “tickled” when she found a good deal. 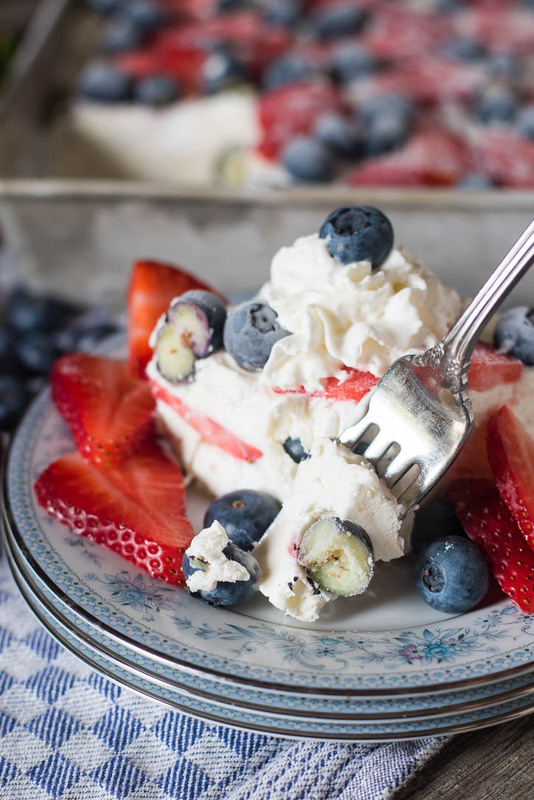 You can bet I was tickled pink to not only come home with this treasure book of old-style recipes, but to find this berry frozen dessert that I changed up to make your summer holidays just a little more cool and festive. This recipe has sweet marshmallows and creamy whipped topping that pairs so perfectly with tangy lemon juice and lemon zest. One of my favorite additions? Vanilla Greek yogurt. This gives the berry frozen dessert a creamy, melt-in-your-mouth texture. You’ll want to be sure to freeze this dessert at least 6 hours before serving. It’s ideal when you need a make-ahead dessert. It can be made several days in advance and frozen until you need to serve it. Remove it from the freezer about 15 minutes before dessert time. That way it will soften just the tiniest bit and be easier to slice into. One more hint: the berries do freeze solid. Be sure to cut your strawberries in thin slices. You could even chop the berries into small pieces to make it easier for kids to eat. 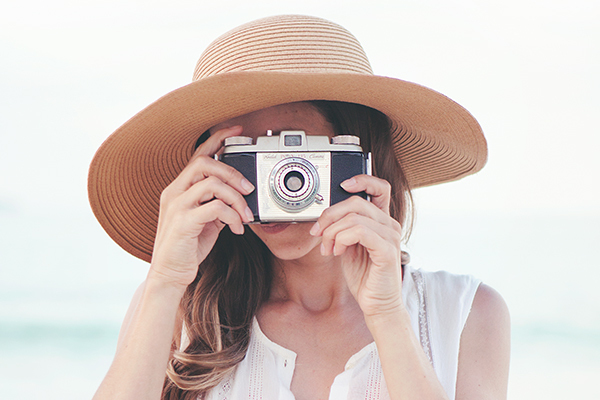 I’d love to hear what your favorite frozen summer dessert is! 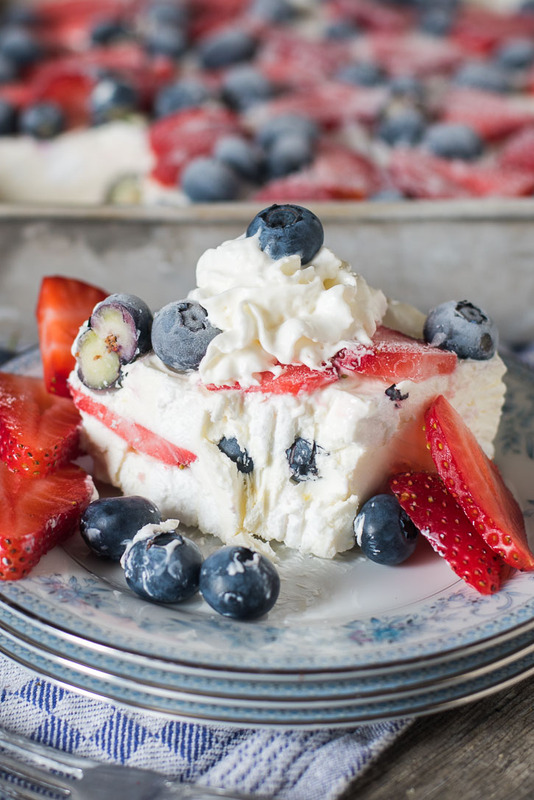 A no-bake patriotic berry frozen dessert stuffed with yogurt, strawberries, blueberries and marshmallows. You'll love the sweet and tangy flavor! In a large bowl, combine the sweetened condensed milk, lemon juice and lemon peel. Mix well. Stir in the yogurt and marshmallows. Pour half of this mixture into a 9x13 pan. 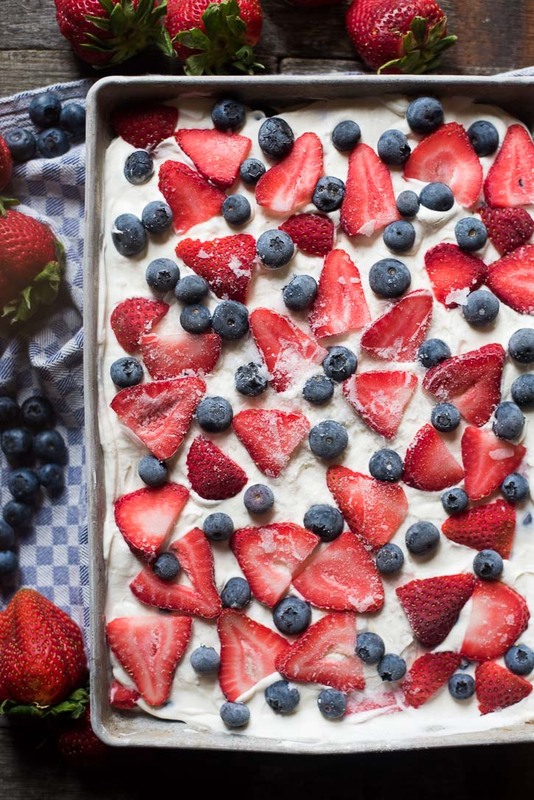 Arrange half of the blueberries and strawberries on top. Cover with the remaining white mixture. Decorate the top with the remaining blueberries and strawberries. Cover with plastic wrap and freeze for at least 6 hours or until firm. Remove from the freezer 15 minutes before serving. *The berries will freeze hard so slice them thin or cut them in small pieces to make it easier for kids to eat. Looking for more patriotic recipes?